Of course there are many people looking to purchase a home in the GTA - just not at the current prices. The local real estate cartel wants you to think that housing is affordable in Toronto, but it's not. You see it takes 32% of household income to afford an average home in Toronto. That's 2 percentage points above the 30% affordability threshold set by CMHC. So by definition real estate is not affordable in Toronto. Average home prices in the GTA rose by 9.2% this past January from a year ago. 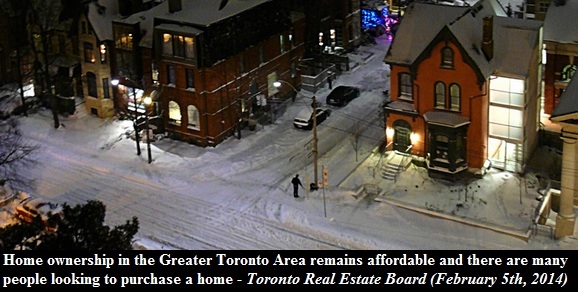 Furthermore detached homes in the 416 rose by about 15% and shoeboxes now cost 7.6% more compared to January 2013. Toronto's housing bubble keeps on inflating! Yet it seems that Canada's largest metro area is running dry on the greater fools as total sales declined by 5.5% from a year ago. 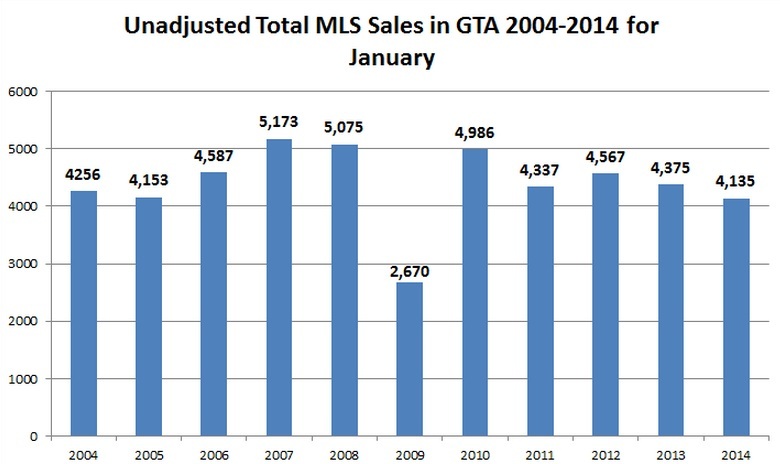 In fact sales registered by the TREB were the second lowest in a decade. The Toronto real estate board points out that the number of new listings had declined by 16% to 8,822. TREB's president notes,"Looking forward, it is possible that strong price growth, and therefore an increase in home equity, will act as a trigger for more household to list their homes for sale." Personally, I don't know about that. I think that down the road new listings will increase due to a near record number of condos scheduled to be completed this year. It would be really interesting to know how Canadians spent that $60 billion. Stainless steel appliances? Granite counter tops? Exotic vacations? A new Hyundai parked in a snowy driveway? Who knows!